Will Xoom—Tablet Newly-released By Motorola Shake the Hegemony of Apple iPad? Motorola has made a public announcement about its new Android tablet—Xoom on the international CES, with the hope to gain a foothold in the fast-growing tablet market and even shake the hegemony of Apple iPad. In some ways, Xoom possesses more outstanding features than Apple iPad: pre-positioned camera and post-positioned camera equipped, one of which can film HD video. On the contrary, iPad does not deploy camera. In addition, Motorola Xoom has bigger display screen, higher resolution, supporting Adobe Flash and resorting to Verizon network which are more capable than iPad. Xoom will be the first device to run Android’s latest operating system Honeycomb that supports multitasking which is specially designed for tablets. Motorola CEO Sanjay Jha said that Xoom will be put into the market in the form of 3G in the first quarter of 2011 and all Xoom 3G can be upgraded to 4G later this year. “It is going to be the most competitive product in the market.” Xoom will be released through Verizon Wireless network. 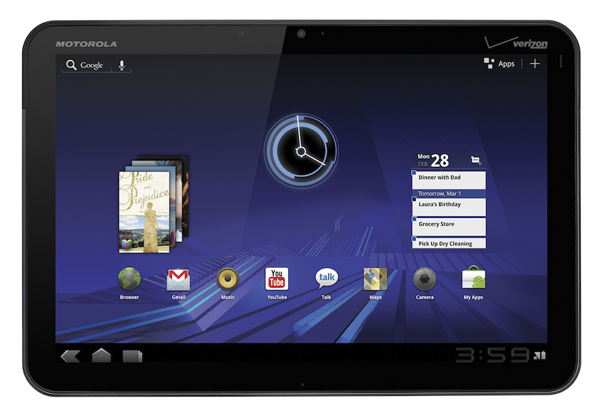 Xoom is equipped with dual-core CPU, the display screen resolution is 1280X800. By using the post-positioned camera you can shoot 720p video. Actually, HD video will bring more visual enjoyment for you. But sometimes, you may need to convert this HD video to other video formats for other uses. Then a smart HD Video Converter is in urgent need here. It can successfully help you to convert HD video to almost all popular video formats. So if you have a plan to get approach to Motorola Xoom, you had better bring this versatile tool that can convert HD video with you. I am sure it will really be a perfect match. It is still difficult to say whether the newly-released Motorola Xoom, but one thing for sure is that Apple iPad is not the only tablet any more. What will be the destiny of Xoom, let’s wait and see. If you want to know more about the international CES 2011, please focus on this blog, more information will be followed. 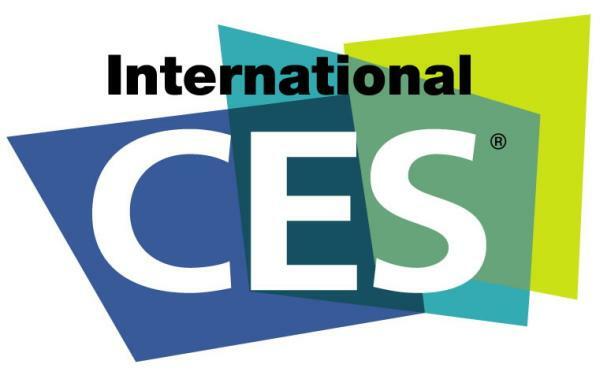 Focus on International CES 2011: What to Expect on The Biggest Annual Consumer Electronics Show? Tablets will be destined to be the protagonist in 2011 CES. The hot sale of Apple iPad stimulates the follow-up action of other manufacturers. There is persistent rumor that as many as 80 kinds of tablets will be launched on International CES 2011, including Motorola, HTC, RIM, Dell, Lenovo, ASUS, Acer, etc. It seems that there will be more internet-enabled TV sets on CES 2011. Under this trend, the biggest winner will go to the wireless network client chip supplier—802.11n. And next it is high time to concentrate on the case that whether TV manufacturers will support the power network standard driven by 1901 working group at present. Google TV will be a key point in 2011 CES and Yahoo will be the leader in this field. Chip manufacturers including Atheros, Broadcom, etc. are scrambling to display systems which adopt their chips and merge with Wi-Fi and HomePlug power line technology. At the same time, Marvell will join in it by taking advantage of DS2 technology. In addition, Entropic Communications is probably going to reveal its new design combined with MoCA technology and Wi-Fi, Sigma Designs will issue its research output about Home Phoneline and power line nets compliant with the new ITU G.hn standard. “Android” must be the hottest keyword in CES2011, it will sweep over the mobile exhibition, home appliance exhibition and MID tablet exhibition. Mobile phone adopts Android, MID uses Android and even TV has built-in Android, it has become a necessary keyword which will polish the products. At the same time, in order to meet with the trend, software that can convert videos also support Android output format, take MoyeaMedia Video Converter as an example. Android will certainly be the tendency of both hardware and software. We have Windows CE within the embedded world and in CES2011 Microsoft reveals that it is going to bring something new which focus on tablet app. The new version of Windows operating system supports both ARM and X86 low-power SoC(System on a Chip) processor. In the area of 4G communication technology, LTE is ahead of WiMAX. Apple is expected to launch a new iPhone for Verizon’s LTE service in 2011 but not on CES. Anyway, the Verizon’s LTE network service and iPhone 5 turn out to be the hot topics on CES 2011. You can find some new surprises on International CES 2011, you may also have a plan to purchase some new digital products on New Year 2011. Under this circumstance, I guess you may need some multimedia software to enrich your 2011 digital life. So with this hottest event CES and MoyeaMedia video software upgraded, pick up your favorite to restart 2011 digital life. For more information about the international CES 2011, please do not move your eyes away. Series of new information will be followed soon. Comments Off on Focus on International CES 2011: What to Expect on The Biggest Annual Consumer Electronics Show?